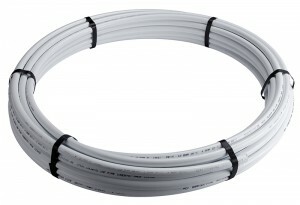 The SharkBite PEX pipe is a cross-linked 5 layer, high density Polyethylene pipe available in 3 metre straight lengths and 25m/50m coils, in size 15mm, 22mm and 28mm. The pipe is lightweight, easy to cut and frost resistant. It has been manufactured to BS 7291 part 3 and is Kite mark approved. 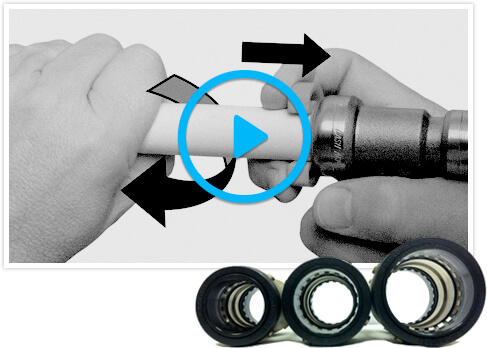 It is rigid enough to minimise sag on long pipe runs but flexible enough to be bent by hand making it easily fed in awkward and tight places such as through joists and behind partitions walls to comply with building regulations.